Thank you to JoeTheVoter for the following response from McDonald’s, regarding restaurants required to air Fox News Channel on their in-store TVs. Thank you for taking the time to contact McDonald’s. We truly appreciate customer feedback and welcome this opportunity to share some information with you. As you may not know, approximately 85 percent of McDonald’s restaurants are owned and operated by independent business people. As independent owners, McDonald’s franchise owners have the authority to make certain operating decisions as they relate to their McDonald’s restaurant operations. As such, the decision regarding content shown on televisions in restaurants, is a local restaurant decision and is not mandated by McDonald’s. Again, thank you for contacting McDonald’s. We hope to have the opportunity to serve you again soon under the Golden Arches. This does not excuse the fact that McDonald’s is not taking a stand against hate and race baiting by allowing these restaurants to air only FNC propaganda, regardless of customer wishes. 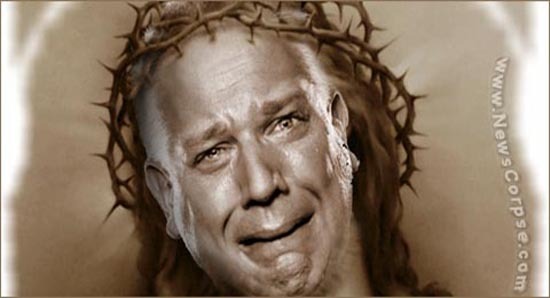 Since Glenn Beck began attacking churches that promote “social justice,” calling it “code language for Marxism,” Christians have been urged to boycott Glenn Beck. 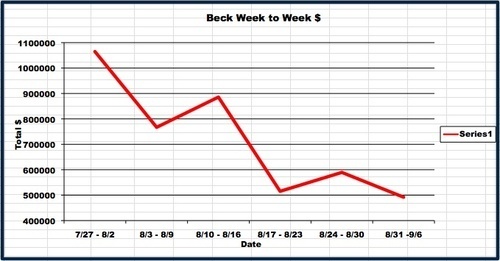 Last week Beck went so far as to call on Christians to leave their churches if they hear any preaching about social or economic justice, citing affiliations with Nazism and Communism. Wantagh Memorial Congregational Church Pastor Ronald Garner put up the following sign in response to Beck’s statements. Mr. Beck, in vilifying churches that promote “social justice,” managed to insult just about every mainline Protestant, Roman Catholic, African American, Hispanic and Asian congregation in the country – not to mention plenty of evangelical ones. Even Mormon scholars in Mr. Beck’s own church, the Church of Jesus Christ of Latter-day Saints, said in interviews that Mr. Beck seems ignorant of just how central social justice teaching is to Mormonism. Garner stated that, so far, he has only received positive responses to the sign above.